(JTA) — Two Israeli parliamentarians blasted several of their Arab colleagues after pictures surfaced of them meeting with Hamas officials. 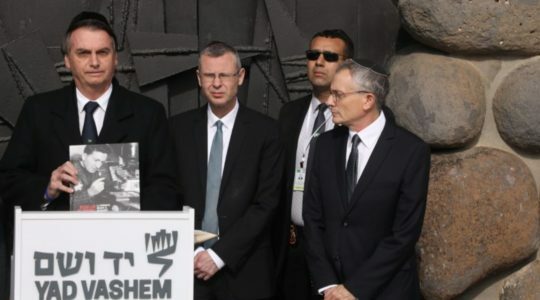 Knesset members Alex Miller of Yisrael Beiteinu and Yoel Hasson of Kadima called for sanctions against Arab Knesset members after photos were published on the Internet of them meeting with Aziz Dweik, a Palestinian parliamentarian and Hamas member, The Jerusalem Post reported. The photos, which were said to be two years old, showed Dweik with Haneen Zoabi of the Balad Party and Ibrahim Sarsour and Masud Gnaim of United Arab List-Ta’al. 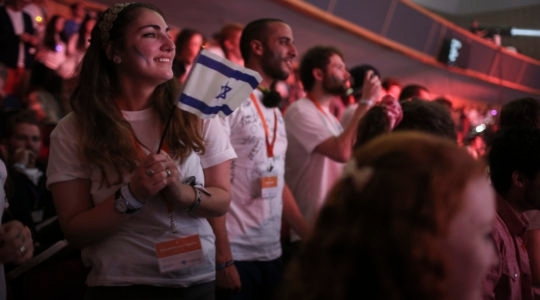 Miller said the Arab Knesset members should be prohibited from running for the Knesset. "Whoever is not faithful to the state should not enjoy its fruits," Miller said. Zoabi said there was no problem with meeting with Hamas, as its officials were "chosen in democratic elections and represent the Palestinian people." Hasson said that he planned to ask Israel’s attorney general to launch an investigation of the Arab lawmakers.